Keep your furry friend warm this winter. The listed coats are available now. 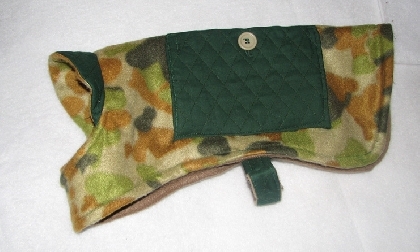 I can also make custom coats sized to fit your furry friend. Med.-Lge. is 14-16 in. long and adjusts 1"-18" around. 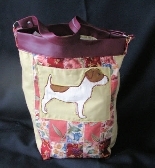 Pockets on side to carry biscuits or poop bags.